The fate of the universe—heat death, Big Rip or cosmic consciousness? By piecing together an increasing number of clues, cosmologists are getting closer to understanding what the future and ultimate fate of the universe will be. And I'm afraid the news is not good. Star formation will cease and black holes will take over until they eventually evaporate into nothingness. There could even be a "Big Rip" on the horizon. But for those who don't mind waiting another 101050 years or so, things may start to look up as a number of bizarre events could take place. But before we consider random events in the very far future, let's start with what we know about the past and the present. The reason we can investigate the past evolution of the universe is that, in some regards, astronomy is analogous to archaeology. Explicitly: the further we peer away from our home planet, the further back in time we see in to the universe. And when we look far back in time, we observe that galaxies are closer together than they are at present. Although only one strand of evidence among many, this observation – coupled with Einstein's theory of general relativity – means that the universe started with a Big Bang and has been expanding ever since. Late last century, one of the most pressing issues in modern cosmology was to measure the deceleration rate of the universe. Given the amount of mass observed in the cosmos it was thought that it might be enough to cause an eventual contraction of the expansion. Remarkably, two independent teams of scientists found the exact opposite. The universe was not slowing down in its expansion, it was accelerating. This profound discovery lead to the Nobel prize in physics in 2011. However, understanding the implications of it remains challenging. One way to think about the accelerating universe is that there must be some kind of material (or field) that permeates the universe that exerts a negative pressure (or a repulsive gravity). We call this dark energy. This may sound a bit far-fetched, but independent experiments have been conducted to corroborate the acceleration of the universe and the existence of dark energy. From 2006, I was involved in the WiggleZ Dark Energy Survey – a scientific experiment to independently confirm the acceleration. Not only did we find that the acceleration is happening, but we provided compelling evidence that the cause of this was dark energy. 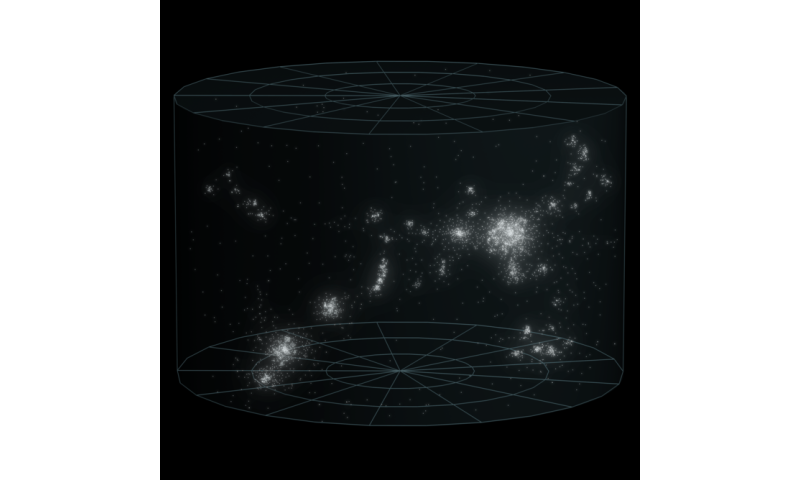 We observed that dark energy was retarding the growth of massive superclusters of galaxies. We therefore suggested that dark energy is real. If the concept of dark energy and its repulsive gravitation force is too weird, then an alternative to consider is that perhaps our theory of gravitation needs to be modified. This might be achieved in in a similar way that relativity advanced Newtonian gravitation. Either way, we need new physics to explain it. Before turning to the very distant future, I will mention another relevant survey: GAMA. Using that survey, we found that the universe is slowly "dying". Put another way: the peak era of star formation is well behind us, and the universe is already fading. The more "immediate" future can be predicted with some certainty. Five billion years from now, the sun will enter its red giant phase. Depressingly, no more than two more billion years after that, it will consume Earth. After that, the relative strength of dark energy and how it might vary over time becomes important. The stronger and faster the repulsive force of dark energy is, the more likely it is that the universe will experience a Big Rip. Put bluntly: the Big Rip is what happens when the repulsive force of dark energy is able to overcome gravitation (and everything else). Bodies that are gravitationally bound (such as our local supercluster, our own Milky Way galaxy, our solar system, and eventually ourselves) become ripped apart and all that is left is (probably) lonesome patches of vacuum. The data from the WiggleZ survey and other experiments do not rule out the Big Rip, but push it in to the exceptionally far future (if at all). Somewhat more pressing is the heat death of the universe. As the universe carries on expanding, we will no longer be able to observe galaxies outside our local group (100 million years from now). Star formation will then cease in about 1-100 trillion years as the supply of gas needed will be exhausted. While there will be some stars around, these will run out of fuel in some 120 trillion years. All that is left at that point is stellar remnants: black holes, neutron stars, white dwarfs being the prime examples. One hundred quintillion (1020) years from now, most of these objects will be swallowed up by the supermassive black holes at the heart of galaxies. In this way, the universe will get darker and quieter until there's not much going on. What happens next will depend on how fast the matter in the universe decays. It is thought that protons, which make up atoms along with neutrons and electrons, spontaneously decay into subatomic particles if you just wait long enough. The time for all ordinary matter to disappear has been calculated to be 1040 years from now. 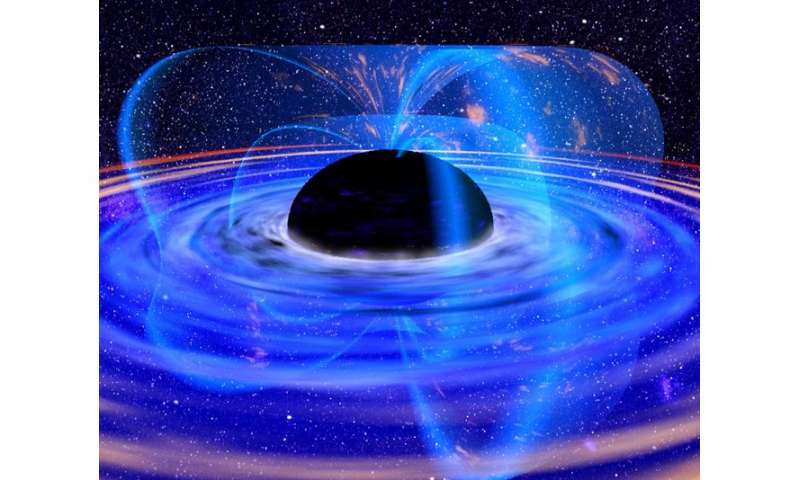 Beyond this, only black holes will remain. And even they will evaporate away after some 10100 years. At this point, the universe will be nearly a vacuum. Particles that remain, like electrons and light particles (photons), are then very far apart due to the universe's expansion and rarely – if at all – interact. This is the true death of the universe, dubbed the "heat death". The idea comes from the second law of thermodynamics, which states that entropy – a measure of "disorder" or the number of ways a system can be arranged – always increases. Any system, including the universe, will eventually evolve into a state of maximum disorder – just like a sugar cube will always dissolve in a cup of tea but would take an insanely long time to randomly go back to an orderly cube structure. When all the energy the in the cosmos is uniformly spread out, there is no more heat or free energy to fuel processes that consume energy, such as life. All of the above seem very bleak to say the least. So I will end this article on a highly speculative, probably wrong, completely untestable, but more positive, note. According to the strange rules of quantum mechanics, random things can pop up from a vacuum. And it is not just a mathematical quirk: The existence of particles suddenly coming into existence and then disappearing again is seen constantly in particle physics experiments. However, there is no reason why so-called "quantum fluctuations" could not give rise to an entire atom. There has even been speculation that a "brain", dubbed a Boltzmann brain, could be created in this context. The timescale for such a thing to appear? Well, that has been computed at 101050 years. And a new Big Bang? That could be on the way in some 10101056 years. Since the GENERAL theory of evolution posits that things came from a simple beginning to the highly complex things we see around us, one should therefore conclude quite easily that the end result will be a super universal consciousness as in the last speculation. with no need for any intelligent input or highly sophisticated tools. I'm still waiting for the fully documented, peer reviewed real science paper that shows how stars form out of a cloud of gas so that we can understand how the first stars formed in the first place. All by themselves. Erm..no. Since this 'universal brain' would die instantly after being spontaneously created. For some strange reason scientists' uppermost principle isn't "I have to inform this internet commenter" when they publish a paper. Since several thousands peer reviewed of papers on this subject exist you'll have to move your lazy fingers and google them yourself. Idle speculations to create a sense of awe about a creator and the "experts" who know! "… however many millions of suns and earths may arise and pass away, however long it may last before the conditions for organic life develop, however innumerable the organic beings that have to arise and pass away before animals with a brain capable of thought are developed from their midst, and for a short span of time find conditions suitable for life, only to be exterminated later without mercy, we have the certainty that matter remains eternally the same in all its transformations, that none of its attributes can ever be lost, and therefore also, that with the same iron necessity that it will exterminate on the earth its highest creation, the thinking mind, it must somewhere else and at another time again produce it." Such an illogical model based on human laws. Pure math fantasy. It is embarrassing that mainstream cosmologists still cling to it. It would be helpful if they were capable of applying a bit of logic to recent observations, along with math. But they are limited by training. The author offers dark energy and/or gravitational physics beyond General Relativity as possible explanations for the observation that the universe is expanding at an accelerating rate. He didn't mention a third possibility: that Special Relativity's reciprocal time dilation is incorrect. If SR's time dilation should be directional - as with GR - then we should be adjusting our observations of light from distant objects for time dilation. Doing so erases accelerating expansion and gives us Einstein's Cosmological Constant for universal expansion. Time dilation has been proven in countless experiments. But the only experiment which tests directionality for SR is GPS, where the SR component of time dilation appears to be directional. It seems to me that we need to test SR's assumed reciprocal time dilation via experiments. Incidentally, mainstream physicists have either ignored Kipreos' paper (vast majority) or published on-line snark (a handful). No theoretical physicists have stepped up to ask whether SR's assumption about time dilation ought to be tested, or to assert that they *have* been tested. So, everyone thinks he's a crank. Kipreos does himself no favors. His explanation of time dilation in GPS is terribly short on details. His Absolute Lorentz Transformation messes with accepted ideas about frames of reference and raises dozens of sticky questions which he glossed over in his paper. But this is a fact, I think: SR's reciprocal time dilation is almost entirely untested. If GPS shows it's correct, someone ought to be able to articulate that in detail. Thus far, it hasn't happened, far as I can see. So. I don't know if Kipreos is right or not. Maybe not. But he raises a question that's important to this whole dark energy discussion. It won't hurt to test SR's assumption. I have figured how the universe works, if any one gives a damn. This is only one level explained; there are many dimensions that do not interact: Dark energy does not have any concept of time. When Dark energy moves it cannot occupy the same space it has traveled, this is expansion of the universe. I have proof of how dark energy interacts with dark matter, where all the anti matter goes, and the waste product we exist in. Galactic POO! How neutrons are created, illustrated graphs, ETC. I am sure the Physics is there, why does anyone put it out, I keep trying!!! Did the door on the asylum get broken? The loons got out. Why they would come here, I'm sure I don't know. The universe has to have a Fate???? Sounds like a purely human concern.